4 October 2016. A company formed to solve age-related medical problems performed an in-depth sequencing of more than 10,000 human genomes, revealing 150 million new or uncommon genetic variations. The team from Human Longevity Inc., a bioinformatics and genomics research enterprise in San Diego, published its findings today in Proceedings of the National Academy of Sciences. J. Craig Venter, a pioneer in genomics research, is one of the company’s founders and senior author of the paper. Human Longevity, a 3 year-old company, designs therapies and diagnostics based on genomics, stem cells, and informatics to address health issues related to human aging. 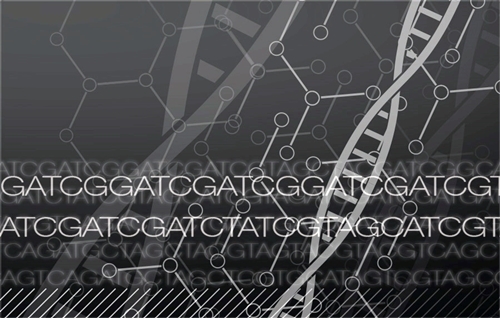 The company says it aims to build the most comprehensive database of genetic variables and associated physiological traits, and in conjunction with the study, launched HLI Open Search, a web-based search engine to explore its genetic databases. The Human Longevity team used its Illumina HiSeq X Ten system, a next-generation or high-throughput sequencing system to perform the analysis of 10,545 genomes. The company used the system to provide deeper coverage in its sequencing, making more reads of the genome — 30 to 40 times — that results in greater confidence in the results. Illumina recommends up to 30x coverage for detecting mutations in human genomes and single nucleotide polymorphisms, or SNPs, the most common type of human genetic variation. The researchers report at these greater depths the Illumnia system can sequence 84 percent of a human genome with high confidence, including 95 percent of known disease-causing genetic variations and 92 percent of exon sequences. Exons are the parts of DNA with the code for messenger RNA with instructions for producing proteins. This level of coverage, say the authors, provides very accurate and high-quality genomic sequencing sufficient for clinical applications. The sequencing revealed more than 150 million single-nucleotide variations, with an average of 8,579 new variations per genome. Most of the new variations are quite uncommon, occurring with less than 1 percent frequency. In addition, each genome sequenced returns an average of 0.7 Mb of sequencing not reported in a recently published (2013) standard reference genome. The analysis revealed as well sites in the genome where exons that code for proteins meet introns, non-coding parts of DNA, and are highly intolerant to variation. The Human Longevity team reports that these sites found intolerant to variation are associated with many known disease-causing genetic variants. These results suggest the intolerant-to-variation sites are important to human health and life. The 10,545 genomes analyzed in the study were drawn from Human Longevity’s database of 30,000 genomes associated with electronic health records. The company says it aims to collect 1 million integrated health records by 2020.